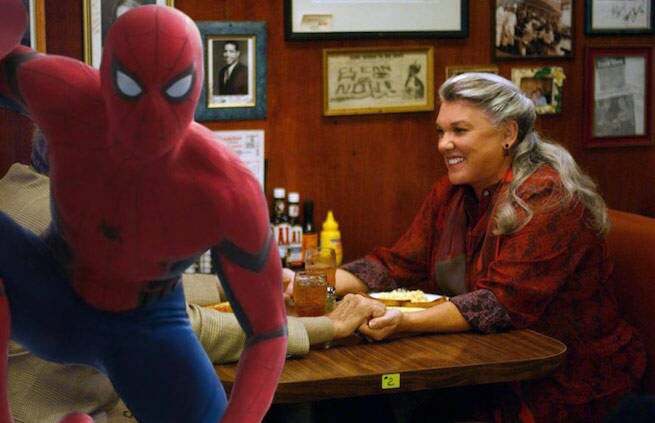 Cagney and Lacey and Judging Amy star Tyne Daly has joined the cast of Spider-Man: Homecoming in an as-yet-undisclosed role, Deadline reports. The six-time Emmy winner has recently had guest spots in Grey's Anatomy, Burn Notice, and Modern Family, along with her stage career. She is a Tony Award-winner and a 2011 American Theatre Hall of Fame inductee. She's no newcomer to comic book adaptations; she once appeared in the Swamp Thing TV series, and both her brother Tim Daly and his son Sam have played Superman in animated productions. She most recently co-starred with The Amazing Spider-Man's Aunt May, Sally Field, in the Michael Showalter-directed My Name Is Doris. Her franchise action movie credentials include a stint as Dirty Harry's partner in The Enforcer. Unlike previous Spider-Man movies starring Tobey Maguire or Andrew Garfield, Spider-Man: Homecoming is set in the Marvel Cinematic Universe. Tom Holland, Sony's newest Spider-Man actor, will make his first appearance as the webslinger in Captain America: Civil War next month. Marvel Studios and Sony have an unprecedented arrangement, in which both studios will collaborate on future Spider-Man movies in exchange for Spider-Man's continued involvement in the Marvel Cinematic Universe. Joining Holland in Spider-Man: Homecoming is Marisa Tomei as Aunt May, Robert Downey Jr as Iron Man, Michael Keaton as (reportedly) The Vulture, and a cast that includes Abraham Attah, Zendaya, Michael Barbieri, Kenneth Choi, Tony Revolori, Donald Glover, Martin Starr and Logan Marshall-Green.